Manic: My daughter has become the manic managed daughter! 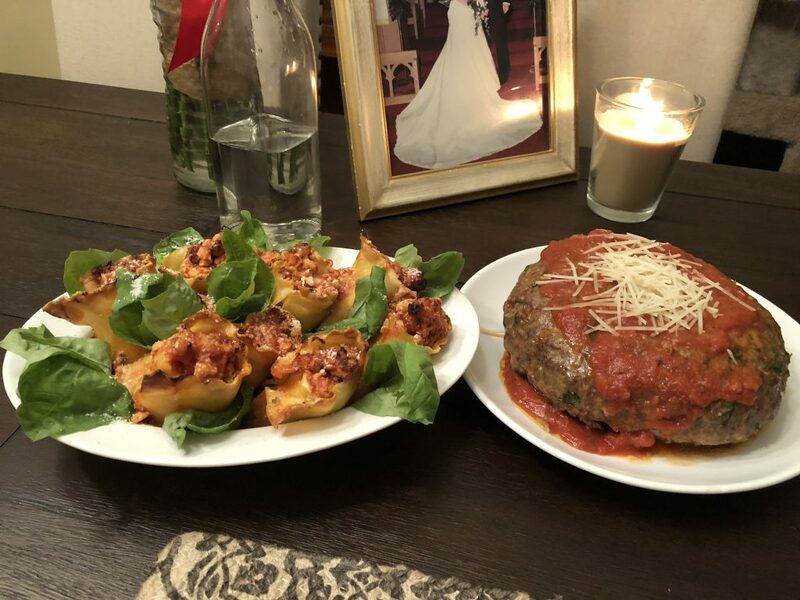 Managed: She surprised us with a homemade mostly cooked-from-scratch his & hers dinner to wish hubs and me a very Happy 25th (yep, I said 25!) 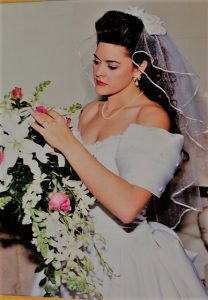 wedding anniversary! 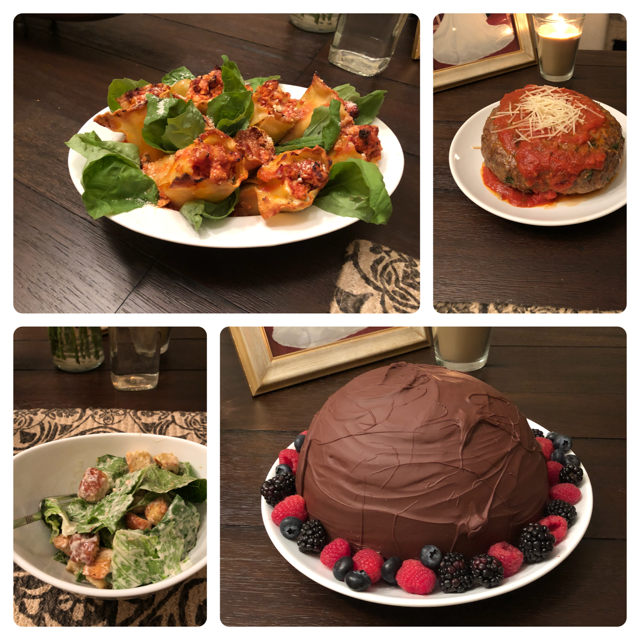 Rose petal turkey lasagna for me, a giant spaghetti stuffed meatball for my hubs and the most magical and yummy chocolate cake that opens up to reveal an ice cream brownie (see the video of this below)! In between her professional theatre shows with Hale Centre Theatre (she is getting paid…woo hoo) and her intense honors and AP high school classes, she doesn’t have any spare time at the moment. But somehow, to our huge surprise, she managed to celebrate us with the best anniversary gift ever! Here are the pics with links to the recipes and check out the video below to see how she made the magic cake open up to reveal more decadent dessert underneath! So fun and yum! So cool! The recipe link to this magic cake, or as my girl told us, a choclate ball is here. Try it! It is a crowd pleaser and my daughter says it is easy, although I haven’t tried my own hand at this yet. 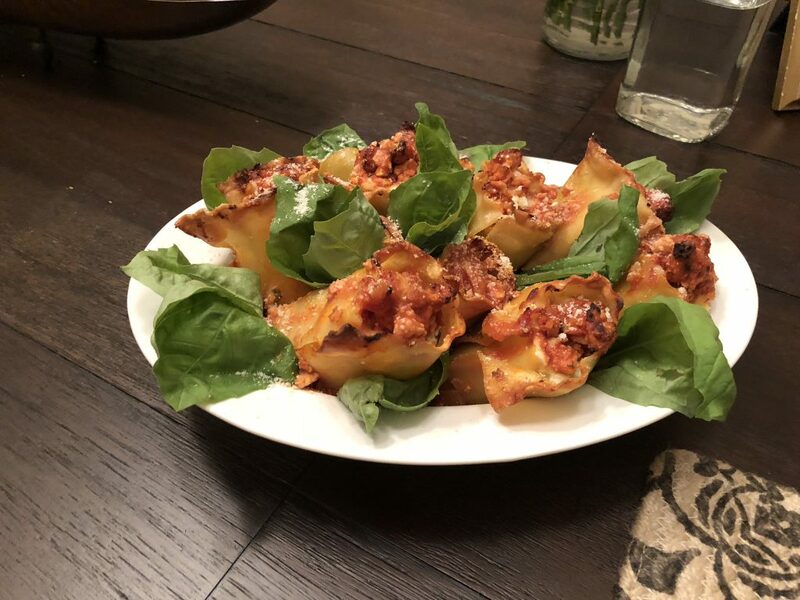 These were stuffed with turkey and cheese and were oh-so-good! Try it! Recipe is here from Tasty. 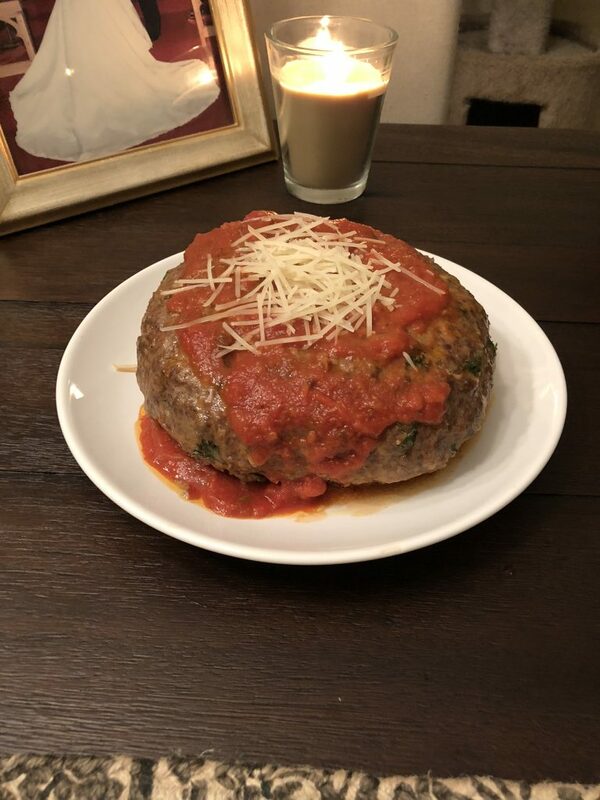 Her Daddy loved the giant spaghetti stuffed meatball that also had cheese inside. We also loved the candlelight and wedding picture she perfectly placed at our table for two. So sweet and hubs loved his meatball! So good. Try the recipe here, also from Tasty. What a very special anniversary dinner and one I will never forget! Back in 1993, when I must have been imagining my future here, I could not have guessed that such sweet angel babies would be delivered to us. I am humbled and thankful to have my girl and my boy. And getting fed such an incredible dinner by our offspring was pretty magical!